The dancehall reggae vocalist Beenie Man has been watching Sean Paul‘s success, too. He saw that you don’t necessarily need a hip-hop beat or an R&B singer to have a reggae hit. So he recorded “Back to Basics,” an old-fashioned dancehall reggae album, for better and for worse. Like many dancehall reggae albums, this one often cries out to be sampled more than listened to. The songs often lose momentum after two minutes, even though they usually keep going for four. (Even “Dude,” an infectious single, is about twice as long as it needs to be.) And the album is a grab bag: Forget about a narrative arc, or even smooth transitions. 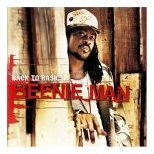 Still, “Back to Basics” is the most appealing Beenie Man album in years. He has a knack for matching a catchy chant or hook to an avant-garde beat, and he gets a handful of great tracks here.